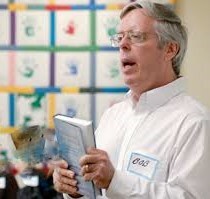 Along with a number of colleagues, Dr. Robert Enright began forgiveness education programs in 2002. Curricula for pre-kindergarten through 12th grade are now available. The curriculum guides are comprehensive (most over 100 pages) making them easy for classroom teachers to use. Click here to see the entire list of available curriculum guides plus an overview of each of those guide. Each of the curriculum guides is appropriate for both public and private schools, religious schools, and homeschools. The guides are available in two formats–the standard version for public schools and the Christian version that includes supplemental information tying the lessons into Christian principles and values. To give you an idea of their contents, here are excerpts for you to review–the introduction and the first three lessons of the 1st Grade Curriculum Guide (Standard Version) and the 1st Grade Curriculum Guide (Christian Version). The guides focus on Dr. Seuss books in the early grades and on other age-appropriate books, DVDs and websites for older students. Through stories, children learn about the five moral qualities most important to forgiving another person–inherent worth, moral love, kindness, respect and generosity. In the Grade One Curriculum Guide, for example, Dr. Seuss’ book Horton Hears a Who is the centerpiece of all the materials. Horton was chosen because of his oft repeated wisdom: “A person is a person no matter how small.” This idea captures well the concept of inherent worth. For each grade level the curriculum gets progressively more challenging so that by the twelfth grade the students are encouraged, if they so choose, to bring the principles of forgiveness to their community outside of school. See Curriculum Guides Basic Description for details about what is taught at each grade level. This “bottom-up” or grass roots approach is essential to healing one heart at a time. See "Why We Need Forgiveness Education Now" to learn why your child or children will be protected from grave injustice and cruelty through forgiveness education. 75% of the teachers observed that, as a whole, the students decreased in anger. 78% of the teachers observed that the students increased in cooperation. 71% of the teachers observed that, as a whole, the students improved in their academic achievement. 93% of the teachers thought that they became a better person. 84% of the teachers thought that their classrooms as a whole began to function better. Purchase your curriculum guides now in the IFI STORE. Does Forgiveness Education Work? How Will Your Student Benefit? In addition to the dozens of peer-reviewed empirical studies Dr. Enright has authored and that were printed in more than 100 professional publications, he recently completed an additional study on forgiveness education published in the Journal of Applied Developmental Psychology. This study was done with middle school students in Korea who are either bullied or who do the bullying. The results showed that the Forgiveness Education Program helped these students reduce in anger and hostile attribution, and increase in empathy. Their academic grades improved and they reduced in behavioral aggression and delinquency. Click here to read the entire study "At Risk Female Adolescents in Korea." Through studies like that one, Dr. Enright has proven--scientifically--that the Forgiveness Education Programs he has developed are effective and actually improve student attitudes, behavior and academic grades. Studies in other areas of the world, including those in Belfast, Northern Ireland, where Dr. Enright initiated his first school Forgiveness Education Program in 2003, documented similar results. Purchase your curriculum guides now in the IFI Store. "I was very pleased to have used the Anti-Bullying Forgiveness program with 30 six grade students last semester. We have seen so much growth from utilizing the program that we made a decision to use the 'Be Your Best Self' (6th Grade Curriculum Guide) materials for this semester." This Anti-Bullying Forgiveness Program is the only one of its kind in the world--and it works. Click here to learn more. ¤ "On the Vital Importance of Forgiveness Education"
¤ "Why Forgiveness Education Matters"
¤ "Forgiveness Education is a Smart Investment"
¤ "Forgiveness Makes Kids Happier"
¤ "Your Love Never Dies"
¤ "For Homeschooling Parents Only"
¤ "Testimonials from School Administrators in Belfast, N. I. ¤ "So, Then, Does Forgiveness Education Work?" ¤ "Forgiveness Education as a Path to Peace"
¤ "Top 13: Dr. Enright's Forgiveness Education Research Studies"
¤ "The Growth of Forgiveness Education Programs Around the World"
¤ "Solution to Rampant Bullying -- Forgiveness Education"